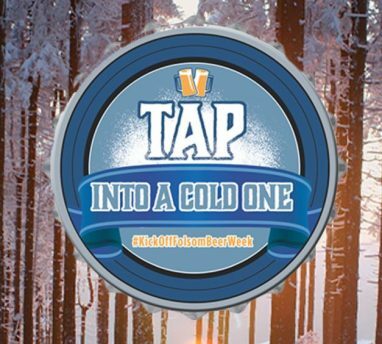 Tap Into A Cold One is the kickoff to Folsom’s first annual beer week! January 27th from 4-7pm 40+ breweries will take over the parking garage at the Palladio at Broadstone. These 40+ breweries will have a chance to showcase their new brews for 2018 and highlight what they have going on in Folsom for Folsom Beer Week. We’ll have plenty of beer, food, games, firepits and more! Take $10 off general admission by entering beerme18 in the promo code box www.tapfolsom.com. Find more information on participating breweries, tickets, entertainment and more at TapFolsom.com.